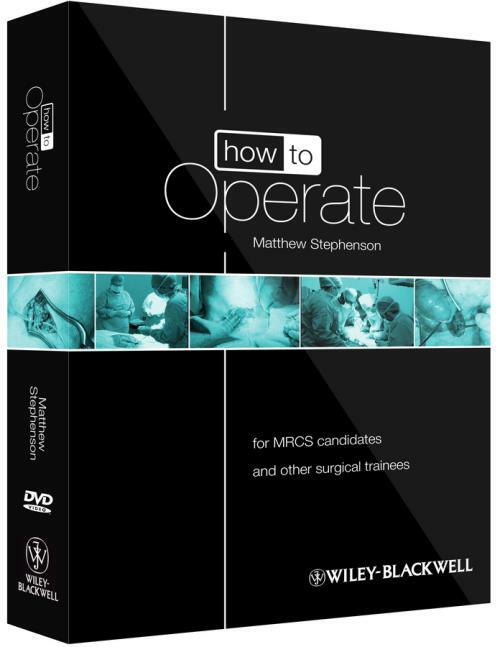 A unique blend of integrated video and book content,How to Operate provides a comprehensive, multimedia training resource for medical students, junior doctors, MRCS candidates and surgeons in training. The three DVDs present over 40 of the most common general, urological, ENT and orthopaedic surgical procedures, complete with step–by–step commentary from experienced surgical consultants. At key points during each procedure, the frame freezes so that anatomical structures and pathology are drawn onto the frame for clarity and to reinforce learning. The 10 hours of video is supported by an accompanying book containing an introduction to each procedure, a thorough explanation of the operation mirroring the video with relevant video stills, and bullet point summaries which can be used as OSCE–style checklists. With a foreword by John Black, President of the Royal College of Surgeons, How to Operate is a truly comprehensive learning resource for all budding surgeons. All you need to become a surgeon is here scalpel not included!